There are many tools out there to help you clean and treat your skin at home and Clarisonic is probably one of the first names that will pop up on your screen if you do a search. What is sonic cleansing? The Sonic Skin Cleansing System uses a patented sonic frequency of more than 300 movements per second to clean, soften and smooth skin. In just 60 seconds, the brush gently, yet thoroughly removes 6X more makeup and 2X more dirt and oil than manual cleansing alone. Removing these impurities has been shown to allow a 61% better absorption of Vitamin C, and better prepares skin for other products. This translates to a more clear skin and reduces clogged pores. 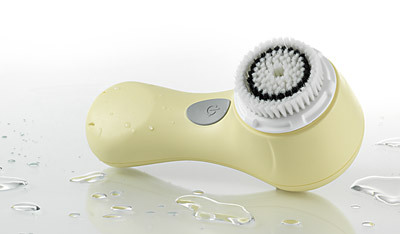 I was given the chance to try the Clarisonic mia in yellow( the Mia is available in a series of fun colors). Clarisonic offer you three diferent unit sizes and the Mia is the smallest and newest addition to the Clarisonic family. 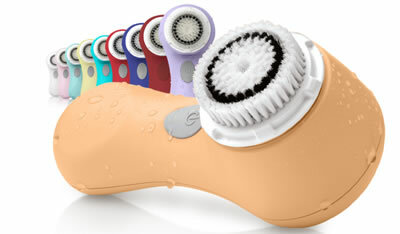 The Clarisonic Mia is a one-button, single-speed, unit whose compact size makes it great for use at home or on-the-go. I tend to get clogged pores if I don’t treat and cleanse my skin properly ( tiny white dots in my chin), so I started to use the Mia to see if it would help reducing them. 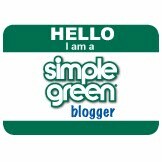 I was able to see an immediate difference on my skin, but not as much on those annoying pores in my skin. But after using the unit for a few more days, I was able to see a big difference, not only in my face but also on the chin area which is my trouble area. My skin looks rejuvenated and much clearer. The Mia is really easy to use and perfect to use in the shower. The Mia is gentle enough that you can use it twice a day and make it part of your daily routine….Unlike some other units in the market, you will find the Mia is suitable for all skin types including delicate and sensitive skin. The great thing about including a unit like the Mia to your cleansing routine is not only that is helps you remove the residues of makeup, but it also helps skin care products work their best. Keep in mind that as with any routine, you need to keep using the unit to see optimal results and get the full benefits. Also, as I said before, if you do not see the results right away, do not get discouraged and keep using your unit. The unit is rechargeable, so you do not have to worry about batteries. Simply recharge after each use and keep ready for the next cleansing session. 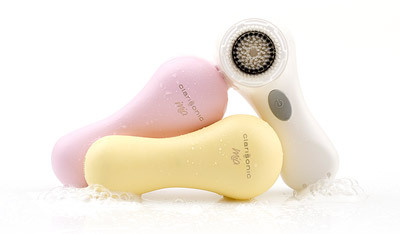 The Mia retails at the Clarisonic website for 149.00 and it is the newest addition to the family as I mentioned before and it is also the one with the smallest price tag. I think this would make a really nice addition to your beauty/skin care routine! You can find Clarisonic on Facebook and Twitter. 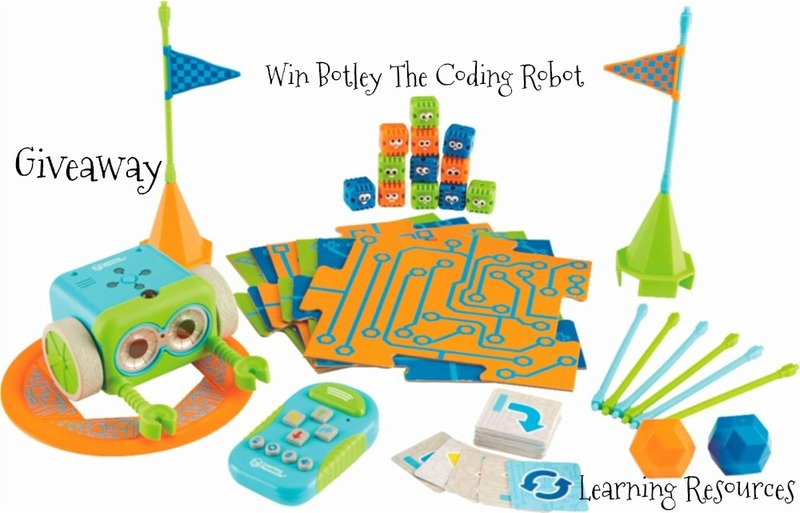 The product(s) provided for the review were sent to me free of charge from the company or the PR agency. My opinions are my own and not by any means influenced by any other part. « Crabtree and Evelyn- Review and Giveaway.